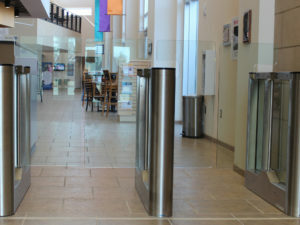 The SpeedStile BP continues to be one of Gunnebo’s most popular and sought after speed gate products. 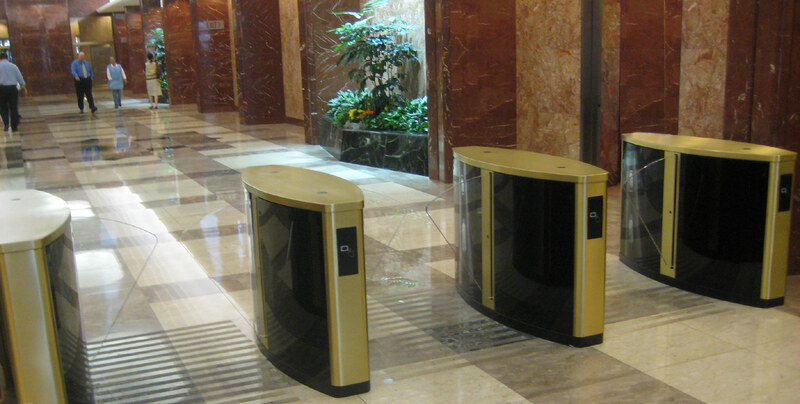 The SpeedStile BP can be designed in a wide variety of finishes such as stainless steel, brass, marble, and granite. 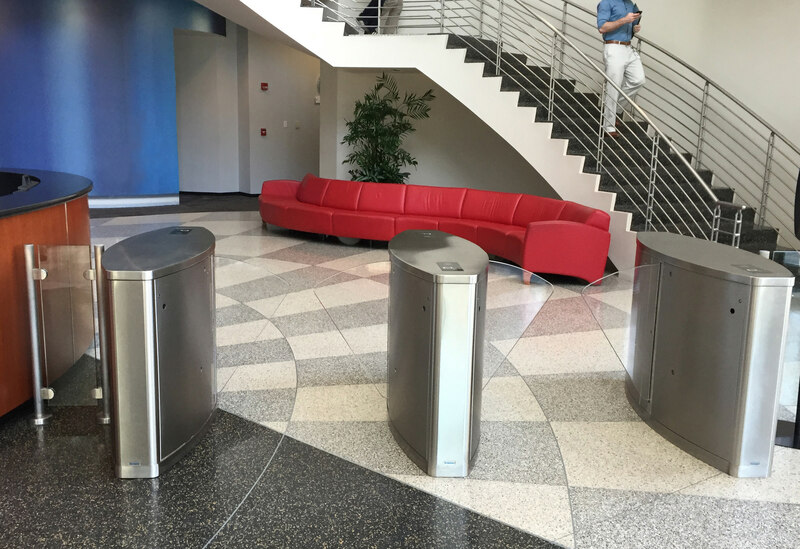 Originally designed for Mass Transit applications, the award-winning SpeedStile design can be placed in any environment where barrier deterrence and fast throughput are number one priorities. Manufactured in either ADA compliant or standard sized housings. 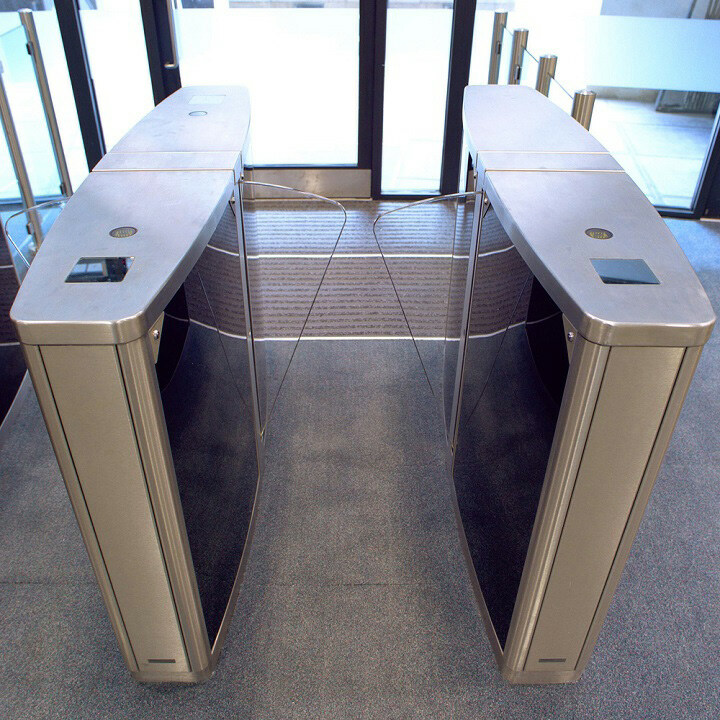 The SpeedStile BP offers unsurpassed throughput while ensuring unauthorized users are kept out of secure spaces. 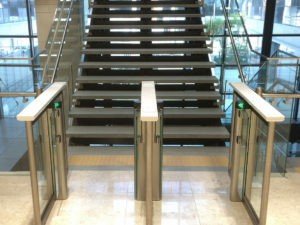 The SpeedStile BP incorporates Gunnebo’s years of tested optical technology with normally closed angel-wing barriers. That retract in and out of the turnstile housings. Safety beams and torque sensing are added precautions that make the SpeedStile BP safe for public use. 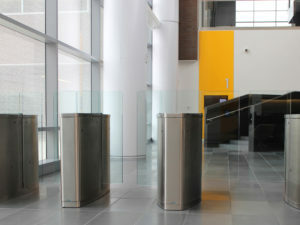 Custom options such as housing finishes and design. 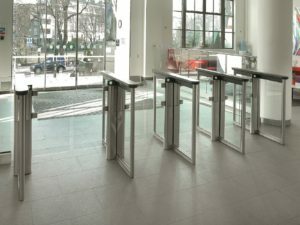 Along with access control reader integration (prox, biometric, visitor management, etc.) 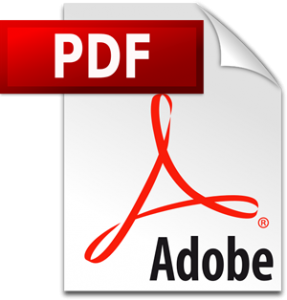 make this product a great solution where speed of throughput, security, and design are required. 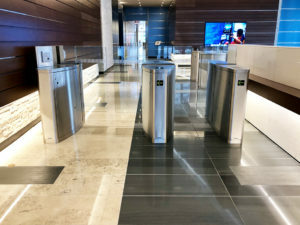 With the integration of a touchscreen or pushbutton controller, remote locations are provided with everything needed to fully tailor, control, and optimize the speed gates to meet their specific site requirements. 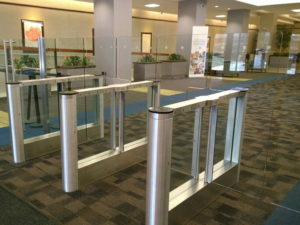 Designed and built in the USA, it can be installed as a single ADA compliant lane or in combination with multiple lanes placed in parallel. The SpeedStile BP continues to be one of Gunnebo’s most popular and sought after speed gate products. 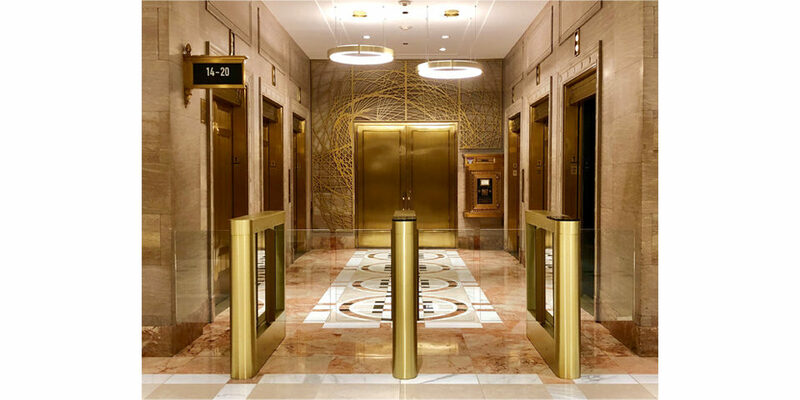 It can be designed in a wide variety of finishes such as stainless steel, brass, marble, and granite. 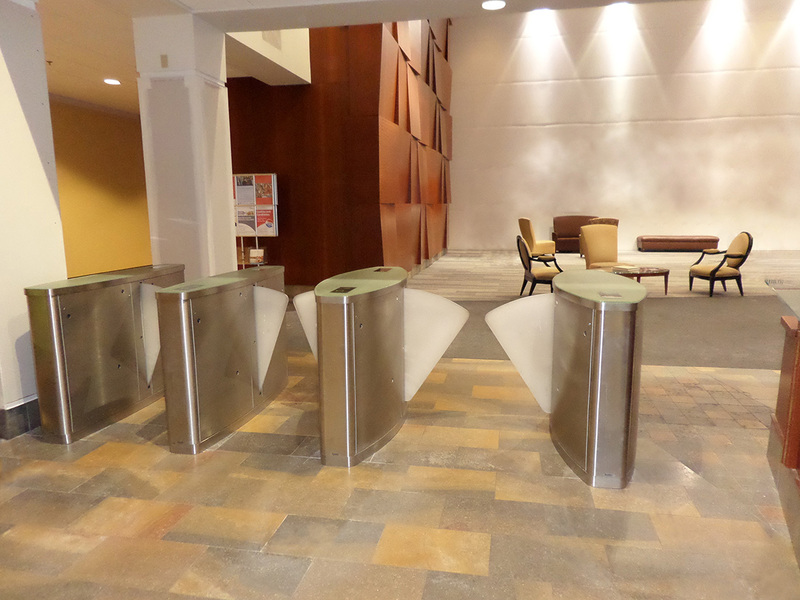 Originally designed for Mass Transit applications. 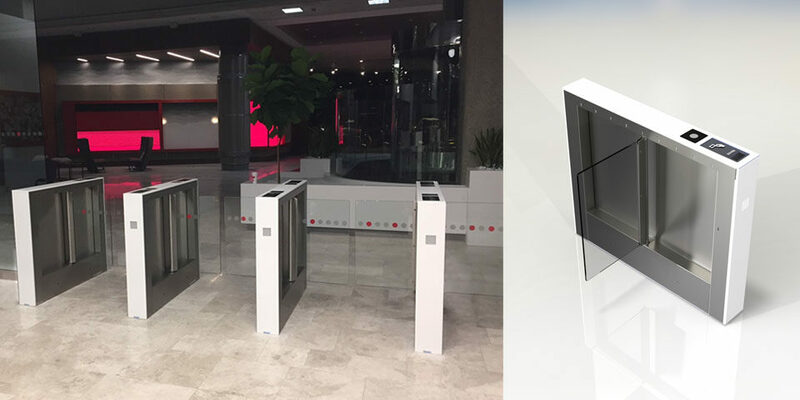 The award-winning SpeedStile design can be placed in any environment where barrier deterrence and fast throughput are number one priorities.